In full accordance to our forecast, after completing horizontal triangle, Franc keeps moving downwards and forming an impulse inside wave . At the moment we can see the formation of wave (3), and its internal structure is not completed yet. The price may fall even lower during the day. 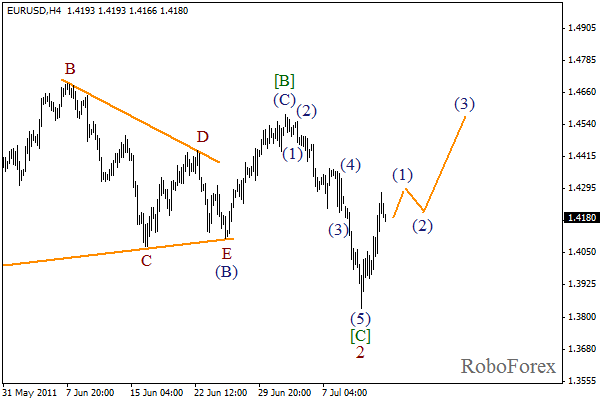 At the H1 chart we can see, apart from the fact that wave (3) is extended, a minor wave 3 is also extending. Most likely we can see a correction, wave  of 3, and after it is finished the price may continue to fall. 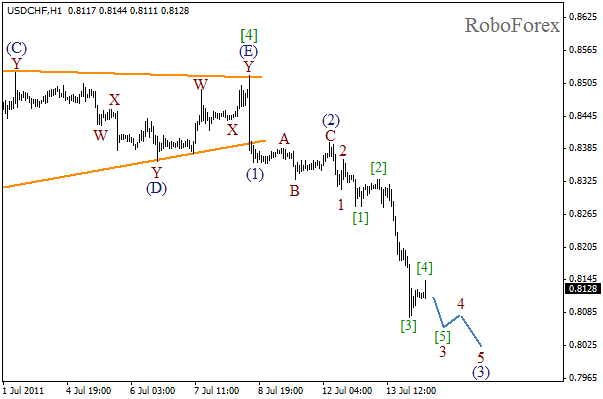 We may assume that wave 2 in the form of zigzag pattern is completed. 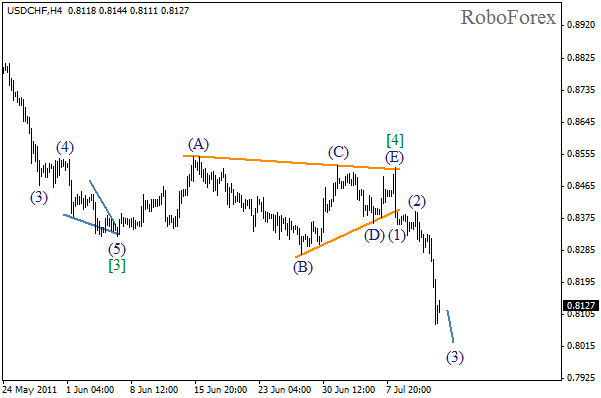 We can see the formation of a starting bullish impulse inside wave (1). The forecast is still bullish, the price may continue growing during the day. Descending impulse inside wave [C] is completely formed. 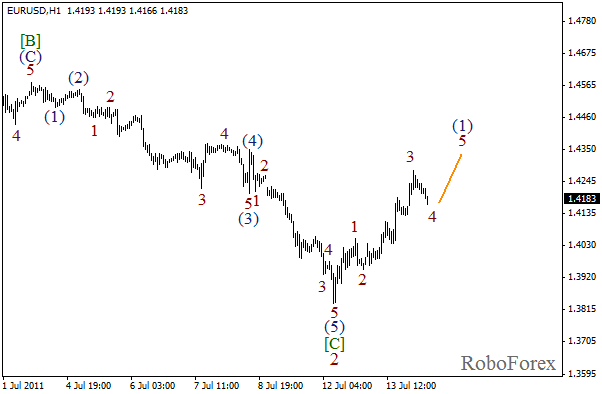 We can see the formation of bullish impulse and the fourth wave inside wave (1). In the near term, we should expect the local correction to be finished and the price to resume its upward movement.